Although I have dealt with the issue in the past, I have in large part ignored the current debate over measles, mumps, and rubella (MMR) vaccinations. Not because I didn’t think vaccinations were important. Of course they are. But because I did not believe that any sane person would disagree with that. The few that do, I basically wrote off as nut-job fringe conspiracy theorists. Unfortunately, there are more than a few conspiracy theorists. Some of them are not fringe at all. In fact some are quite prominent. There is currently a deadly measles epidemic taking place both in Israel and here in America. Those affected are mostly in the Charedi community. The epidemic is so widespread that Yeshivas Mir is currently offering to vaccinate any of their students who think they might need it - at no charge. Measles is a highly contagious disease. So it is spreading rapidly. In the United States I am aware of communities in New York, Lakewood, Detroit, and Chicago that are affected. I’m sure that there are more. Considering that measles has for decades been pretty much eradicated as a disease, this is somewhat shocking. How serious is this disease? One or two out of every 1000 that contract it, will die. So the lack of protecting oneself via vaccination is a matter of Pikuach Nefesh. Those who refuse to be vaccinated or refuse it for their children are literally putting not only their own children at risk, but considering the high degree of contagiousness, are putting entire communities at risk. What is behind this phenomenon? There are some people that think being vaccinated is more harmful than not being vaccinated. For example they point to now discredited studies that have linked vaccinations to autism in children. On the other hand, the administrations of the Talmud Torahs refuse to accept these students the entire time that they remain unvaccinated. This is on account of the danger that they will cause the spread of measles throughout the Talmud Torah. (P)arents of vaccinated children can demand that those children that are not vaccinated not be allowed to enter into schools together with their children. For as it is known this disease is very communicable. The vaccination itself cannot completely prevent the spread of it [there remains a 3 percent chance of infection even after vaccination]. The children that are not vaccinated do not have a right to endanger the vaccinated children and to expose them to the disease – even though the mortal danger to them is remote and minimal, since there is a small chance that they can become sickened by the disease. The parents have the right to demand that their children not be exposed to the illness even with no mortal danger. That is the right thing to do. In a letter sent out last week by the primary Charedi religious schools here in Chicago, parents were advised that no child would be admitted to class that did not have an MMR vaccination. Did you ever hear of Amalek? Hashem told to get rid of them because they're not good. They tried to destroy b'nei yisroel. And they're still trying. Merck is a German company, and they produce MMR. Worldwide a lot of terrible things have been happening. Autism is all over the world. I know personally two babies who died, they were three months old. Right after, two and a half weeks after the shots. But the doctors don't believe it. They're taught, they don't know that they're taught by professors who are apikorsim or representatives of the medical, of the pharmaceutical companies. I encourage everyone to read or listen to the rest for themselves. And weep. What makes this even more perplexing is that I have been personally told by a distinguished member of the Kamenetsky family that all of her own children were vaccinated! What happened? How did she come to these absurd and dangerous conclusions? I can only conjecture. But it has to be a combination a propensity towards conspiracy theories and religiosity gone awry based on bad information and in my view a gross misunderstanding of Halacha. Rebbetzin Kamenetsky is not a Posek. I’m sure she will be the first to tell you that. But there are some people that consider themselves Poskim in this regard and have published Teshuvos (responsa) promoting the false notion that as a matter of Halacha one must refuse to be vaccinated. And that by doing so, you are in effect an Apikores - denying the very existence of God! This is an extremely dangerous situation that seems to be affecting the Charedi world the most. The question is why? In my view this is a corruption of their understanding of what faith in God is all about. Yes, God is the true healer. But it is our obligation to do whatever we can in that regard. God clearly tells us that in the Torah itself: We must very much guard our lives. That means that we do not rely on miracles. We do what we can and God does the rest. To say that listening to doctors is a denial of God is itself pure unadulterated Apikursus. 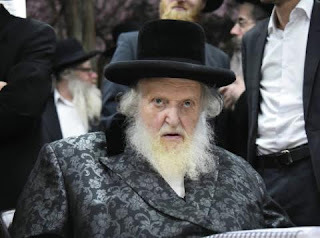 Any rabbis (or Rebbetzins) that defend the rights of parents to send their unvaccinated children to school are in my view violating the fundamental Halachos of Pikuach Nefesh! And they should be ignored. Because the price of listening to them may be very costly.